I have a dream that informing and encouraging young foot and ankle surgeons in producing more academic papers, and as a woman doctor who strives towards this aim, I spare no effort in making this dream come true. I must point out that Medicine in Brazil, as a developing country, is more assistance-driven than academic, and, thus, there is still much to address in terms of academic contributions. I was at the AOFAS Meeting 2018 in Boston, and I greatly enjoyed lectures in the Research Forum. Sheldon Lin, AOFAS Program Chairmain, made an amazing job, and with his kindly help we begin an this academic project. David B. Thordarson, Editor in Chief, Foot and Ankle International, wrote a text about: "Developing research skills through mentorship". As Editor-in-Chief, Foot and Ankle International he is of great importance in the academic world, which makes his participation extremely valuable. It has been an honor for us that he has accepted the invitation for this academic project. Subtalar arthrodesis does a second screw increase the fusion rate? Subtalar arthrodesis with bone graft. Is it needed for smokers? 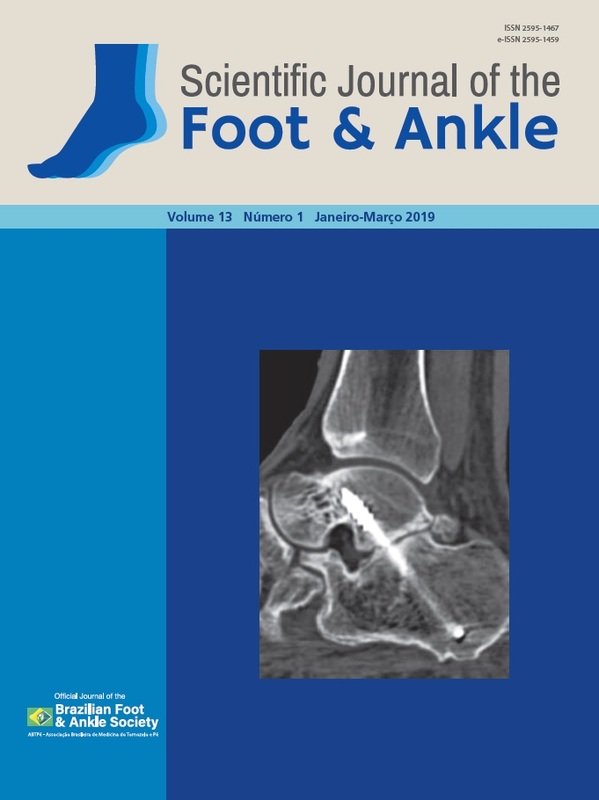 Scientific Journal of the Foot & Ankle is an official publication of the Brazilian Foot and Ankle Society. Any concepts expressed in the papers are the sole responsibility of the authors. All or part of the Scientific Journal of the Foot & Ankle is licensed by CC BY (Creative Commons Attribution).